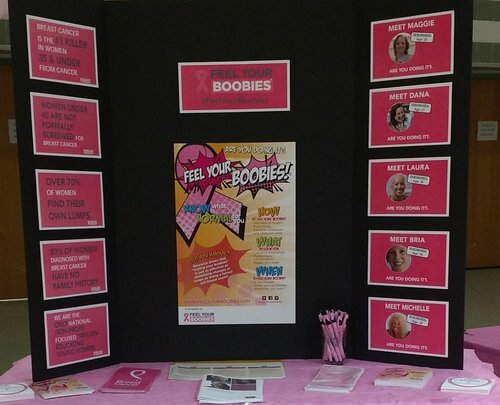 Since 2012, the Feel Your Boobies Foundation has provided FREE educational materials to over 500 colleges, nationally. The Materials & Kits component of our College Outreach Program provides free print & digital educational materials to promote breast cancer facts & breast health. The 2019 application period is now open! 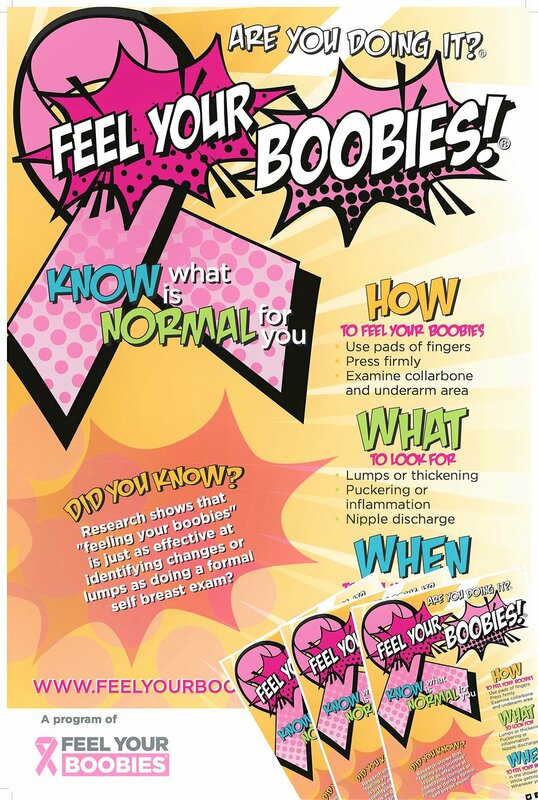 Description: These print materials outline what to look for when "feeling your boobies" and can be used to open a dialogue up with students who visit the health center or at tabling events such as health fairs. ordering info - PLEASE READ! Currently, Reminder Kits are only available for institutions of higher education. Applicant must hold a faculty/staff position on a campus/university. No student submissions will be accepted. Your institution must be a college/university based in the US. Colleges/ Universities located outside of the 48 contiguous states MAY be charged for shipping. Shipping address provided MUST be a campus/business mailing address. No kits will be mailed to residential addresses. Only 1 Kit will be provided per college/university. Description: We are now offering FREE bulletin board kits for use in residence halls, academic buildings, student unions, off campus housing, student activity centers, etc. Submit your order today, to receive your free digital download of our bulletin board kit. Orders are accepted on a rolling basis. There is NO DEADLINE. Please allow two business days for receipt of digital download. ONE digitally downloadable file will be sent to the email address provided. Only 1 download will be provided per email address. The user is responsible for any costs associated with printing this file. The user should obtain permission prior to posting these materials on any on or off campus property that is not owned/leased by user.